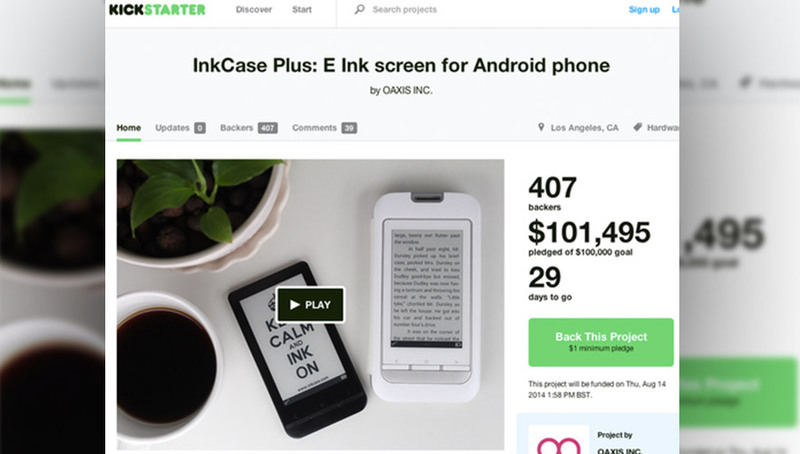 Our latest Kickstarter campaign, to support the launch of the InkCase+, a removable 3.5-inch e-ink display module made by OAXIS, has already seen it raise its target of $100,000 in less than three hours since officially launching. Priced from just $79 for early backers on Kickstarter, InkCase+ will let consumers personalise their phone case and allow alerts to be pushed to the low power E Ink screen. This means that when users want to check their notifications or even read a book there’s no need to power on the main screen, what’s more the low power E Ink screen also means notifications are always visible. You back and find out more about the InkCase+ here.